We know you’re watching football. You may even be mulling over your choice of players to enter the Pro Football Hall of Fame. So, how would you like to attend the enshrinement event in Canton, Ohio, AND drive away in a brand new Ford F-150? It’s possible! 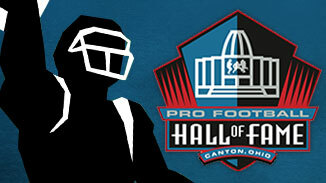 A new Ford sweepstakes running until February 14, 2014 offers as grand prize a VIP trip for four to the Pro Football Hall of Fame Enshrinement Festival and a new truck featuring Ecoboost technology. Sound interesting? If so, scroll down for the details and click here to enter! « Butler's Giving Away a Pair of Oregon Civil War Tickets!